Poets, artists, and activists from 44 countries participated in the worldwide reading in support of their colleague Ashraf Fayadh, who's been sentenced to death in Saudi Arabia. 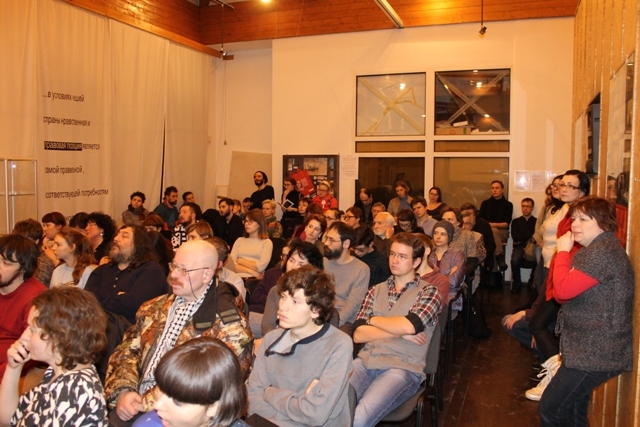 Coordinated by the International Literature Festival Berlin, the global campaign consisted of more than 120 events, two of which were held in Russia: in Moscow at the Sakharov Center and in St. Petersburg at the “Word Order” bookstore on January 14, 2015. Ashraf Fayad, a 35-year-old poet, was first arrested by the Saudi police following an anonymous denunciation. He was released on bail and then rearrested on January 1, 2014. At first, Fayadh was sentenced to four years in prison and 800 lashes for apostasy and promoting atheism in his 2008 collection of poems, “Instructions Within,” but then his case was reviewed on appeal and on November 17, 2015, he was sentenced to death. Currently, Fayadh is awaiting the court’s final decision on another appeal. He says he's not guilty and calls himself a devout Muslim. 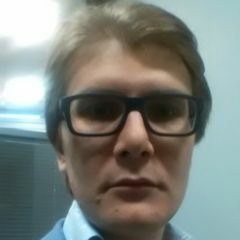 Когда ты узнаешь про то, что происходит с Файядом, хочется сделать что-то. Сделать нечто большее, чем просто подписать петицию, поставить куда-то лайк. Вложить в это больше себя. И то, что придумал Берлинский литературный фестиваль, – это действительно способ сделать больше. When you hear about Fayadh and his situation, you want to do something more important than just to signing a petition or “liking” someone’s social media post. This worldwide reading campaign by the International Literature Festival Berlin is the right way to do it. Ashraf Fayadh’s poetry is a place of multiple encounters between of the open global westernized world and one of its autarchic, somewhat island-ish cultures. […] By means of his poetry he put himself in a position, which is all too dangerous in times like these – and in any other times to that matter. Fayadh—and others possessing enough courage – stand where cruel non-human winds of history cross paths. And they let these winds go through their words, bodies and lives. We owe them. I owe them. Because Fayadh is among those who set us free. Almost every participant began their remarks by expressing hope and support for Fayadh, asking Saudi officials to grant his appeal and reconsider his case. Saudi Arabia's current membership on the UN Human Rights Council makes Fayadh's situation all the more problematic. The poet's supporters hope that public pressure and awareness campaigns could shame the government into sparing his life. Said Gafurov, a Middle East expert, told Global Voices that these efforts to save Fayadh have a chance at success. Even if they fail, Gafurov says he's sure that remaining silent about such cases is no option, arguing that capital punishment is “horrendous, incredible and simply unacceptable” in the 21st century. Казнь любого поэта – это потеря для всего человечества. Мы не знаем, может, будет казнен поэт, чье творчество через 500 лет войдет в школьные хрестоматии. Или вошло бы, если бы ему не отрубили голову. The execution of any poet is a loss for all humanity. For all we know, you might be killing a poet whose works will be mandatory reading in schools, 500 years from now. Or perhaps they would have been, if they hadn't cut his head off. Also in January, there was a protest in Santiago demanding Fayadh’s release. Called the “protest of the white handkerchiefs and flowers,” demonstrators planted themselves outside Saudi Arabia’s embassy. The rally was organized by Sech (the Society of Chile’s Writers), Pen Club Chile, Descentralización Poética (Poetic Decentralization), Apech (the Association of Painters and Sculptors of Chile), Fundación Neruda (Neruda Foudations), and ChilePoesía. Earlier, this same group organized a concert and poem reading protest in front of Pablo Neruda’s house. Conocimos, en otra épca de este país la persecución y la crueldad del Estado y por ello, como chilenos y como artistas asumimos el deber de exigir la liberación inmediata y el respeto de los derechos humanos de un creador y un hombre cuyos derechos han sido vulnerados. In another time, we knew about persecution and cruelty by the state in [Chile], and thus as Chileans and artists we take the duty to demand [Fayadh’s] immediate release and the observation of the human rights of a man whose rights have been violated. Poets and sculptors agreed to bring to Chile this poet’s figure and ask the Chilean state to support his liberation—a true case of human rights being violated. Neruda’s house is a worldwide icon and we are interested in giving the world a sign that we are ready to defend this persecuted poet. Memet is now waiting to learn if the Chilean government will take a stand against Fayadh’s sentence. 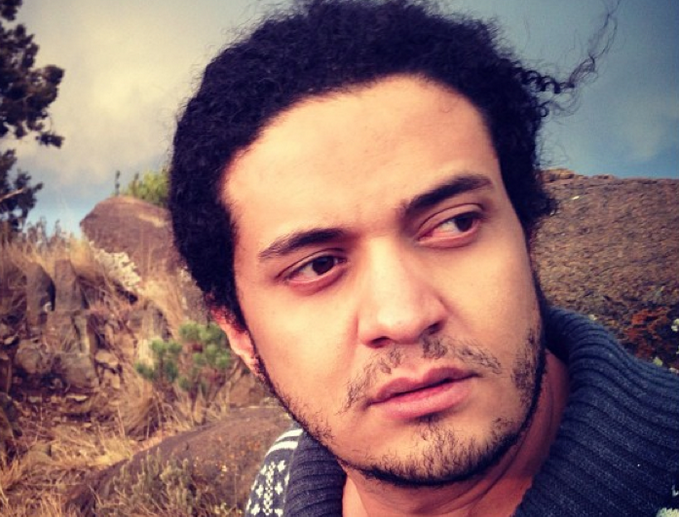 In Mexico City, there was also an event hosted by PEN Mexico where various renowned writers celebrated Fayadh’s work and demanded in a public letter to the Saudi Embassy that he be released.